Some playing about with Photoshop followed – attempts to superimpose a blue sky etc., but the whole feel was wrong. So I resigned myself to this one image – which could be anywhere and vowed to return to Little Venice when the weather permitted better photos. 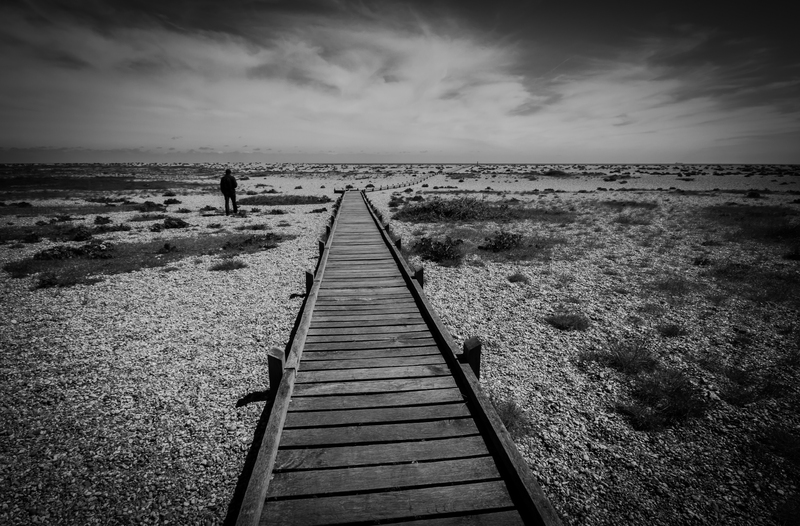 Britain’s only desert – Dungeness! 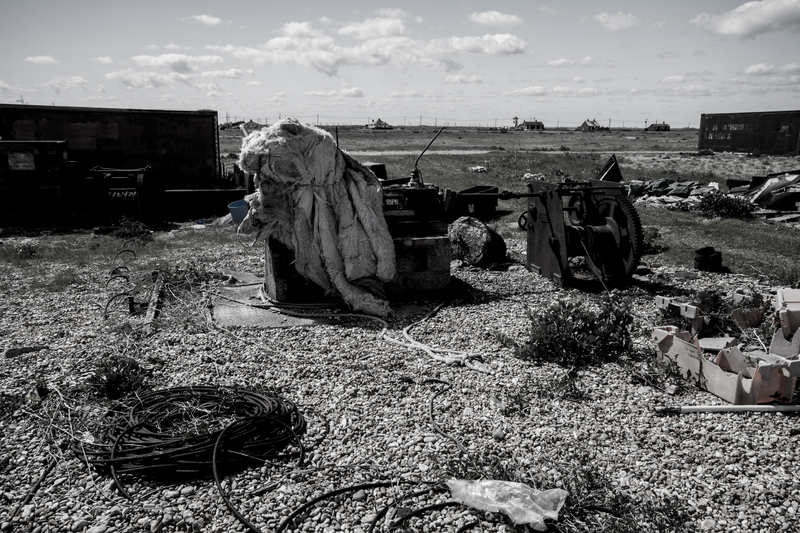 Apologies for the delay in getting a post out – the last two weekends have involved much traveling and I thought I would venture a tad beyond the M25 perimeter and explore Britain’s only desert, a strange, eerie and undoubtedly peculiar place, Dungeness. Located in the south coast near Hastings, Kent it is feasible (just) to do as a day trip, which is precisely what I, and a pro photographer friend of mine, Louis Amore did last week. Dungeness is a private estate, owned by the Paine Family trustees, but open to the public. 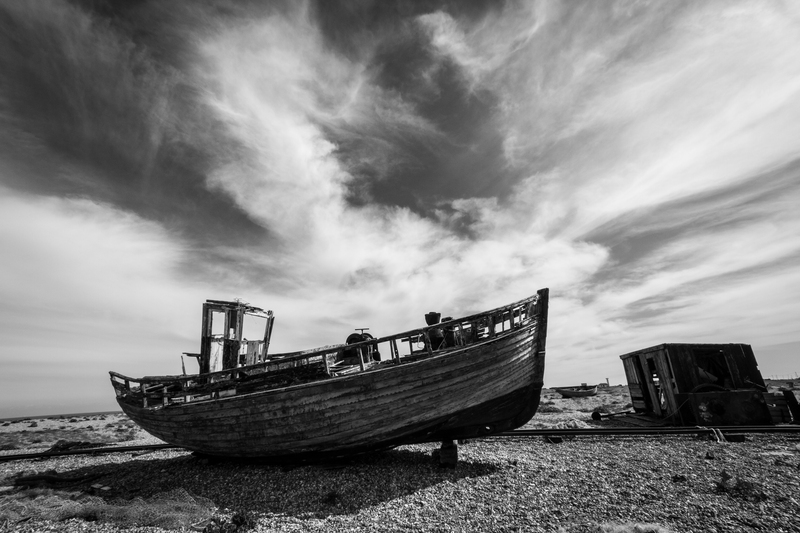 It is a site much used by TV and film crews and its shingle beach is home to a number of derelict boats, fishing debris, flotsam and jetsam and rubbish left by fishermen, visitors and residents. Dungeness also has two nuclear power stations, two lighthouses and is a National Nature Reserve, as it’s home to a unique variety of wildlife and more than 600 different types of plants – which is apparently, about one third of all plants found throughout the UK. It is also one of the best places to spot rare species of moths, butterflies, bees, beetles and spiders with many not found elsewhere in the country. 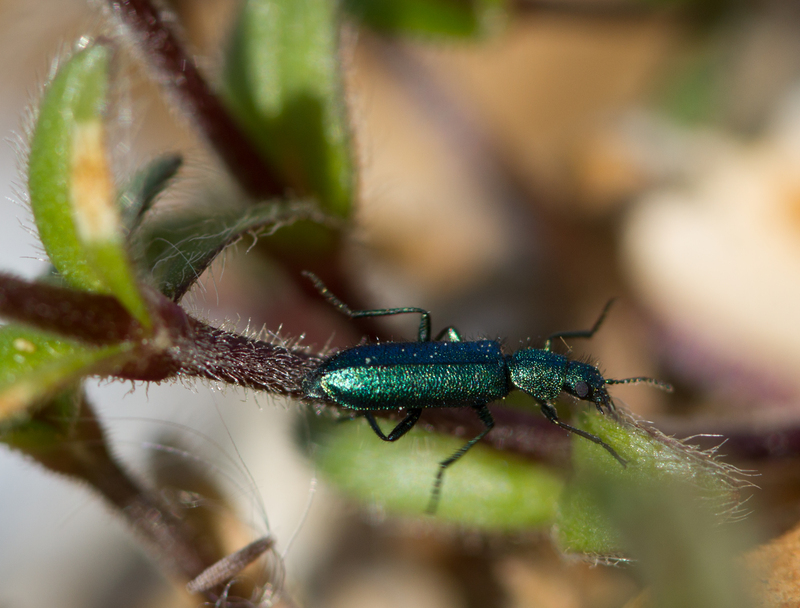 I spotted some jade/blue creatures and have been subsequently told they are either Greenish Blue Shiny Beetle – Cicindela sexguttata; or a shiny blue tiger beetle. Either way these creatures are about half an inch long and have a shimmery metallic feel to their colour. It was lovely to finally take macro shots of something this bright and beautiful, and there were thousands of them about. 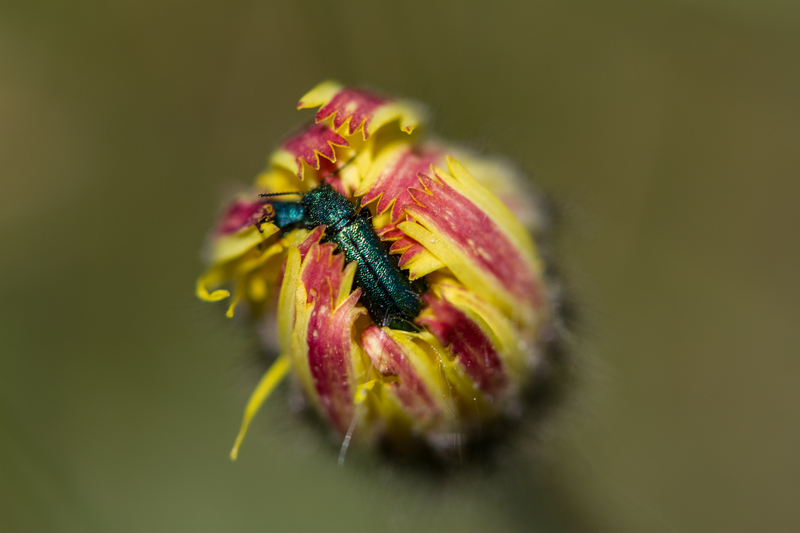 Blue/Green Tiger Beetle snug as only a bug can be. Took a few shots to get this, but I was pleased with snapping this tiny creature with some degree of clarity. 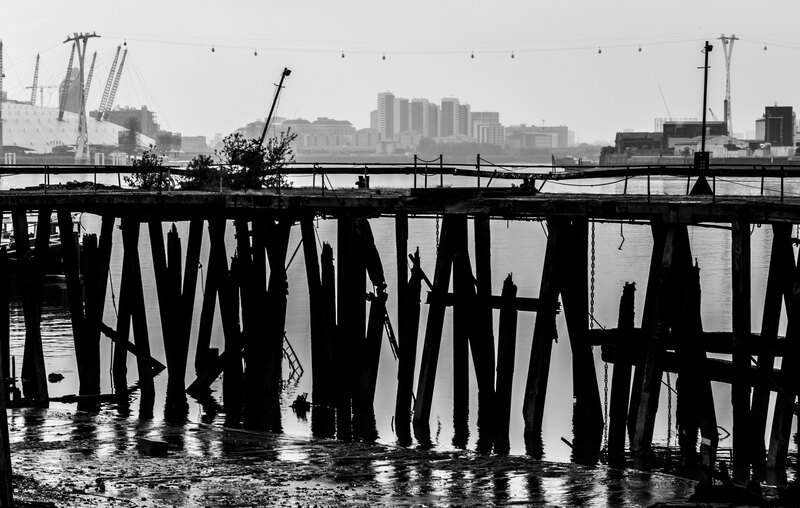 As well as these fabulous macro opportunities, there are abandoned boats and shacks, random debris and rubbish, all of which give the place a desolate, eerie feeling, one of isolation and abandonment. Walking around, you can feel as if you are among the result of a nuclear war; the post apocalyptic feel not even interrupted by the rare presence of another human being. Throw in some interesting cloud formations and you can get exciting and dramatic photographic results. 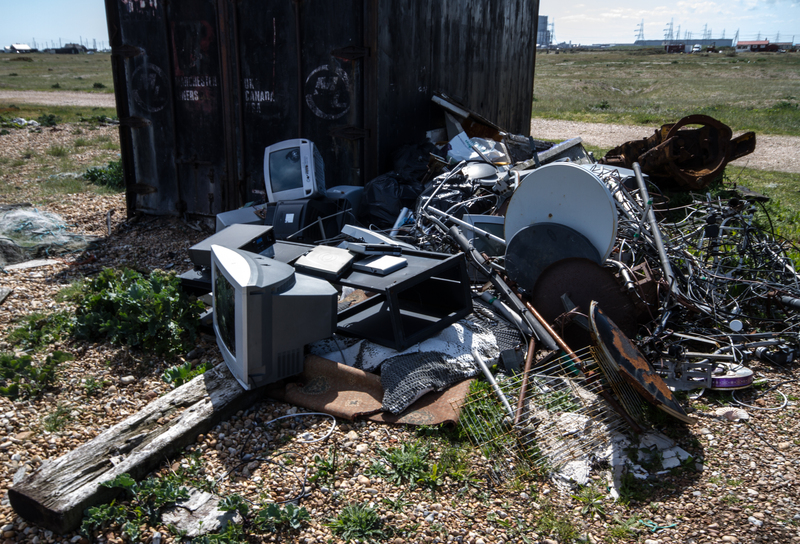 Random Rubbish on Dungeness Beach; tried my best to make it art. I did not succeed. In short, visit the place – its weird and wonderful, or wonderfully weird, with great photographic opportunities. 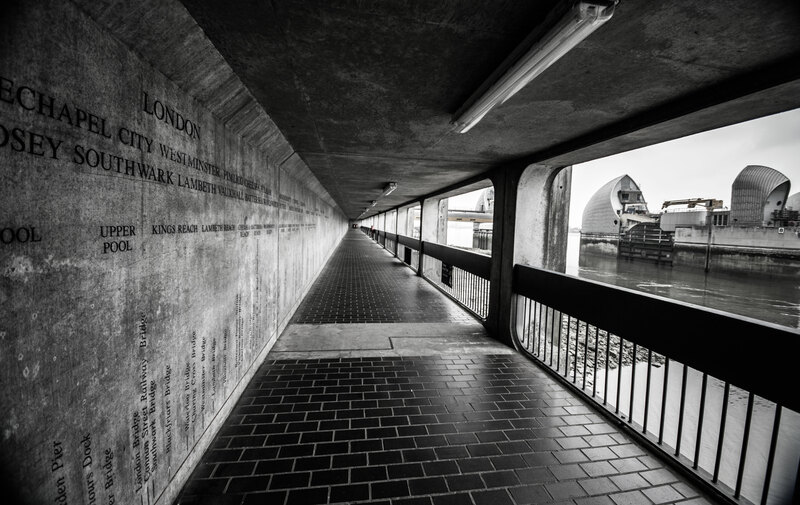 To see artistic results, far superior to mine and to really appreciate the potential of this place, go over and check out Louis Amore’s shots – as a fine art photographer he knows what he is doing! It’s raining? Stay indoors and have fun with still life! Last week, Paul Steele, aka The BaldHiker asked me to be a guest author for this blog. 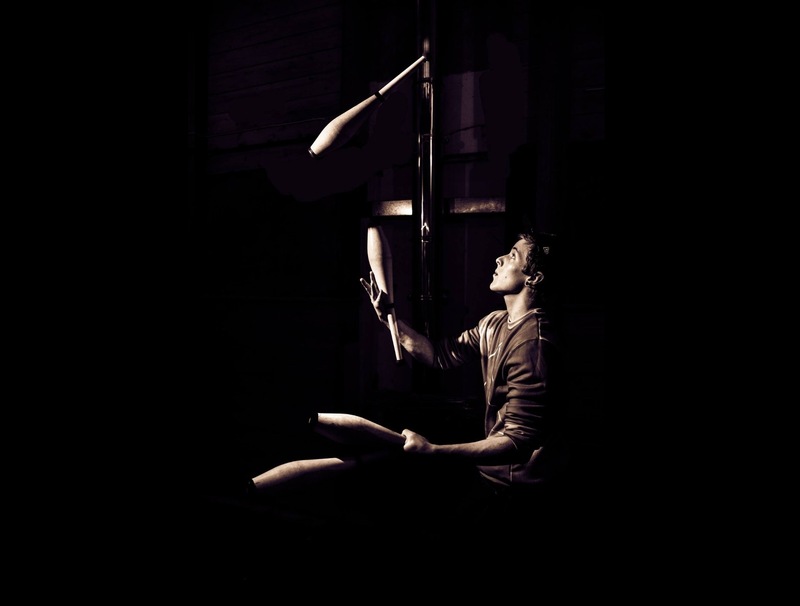 I was extremely honoured to be asked and delighted to contribute a piece with some photos. 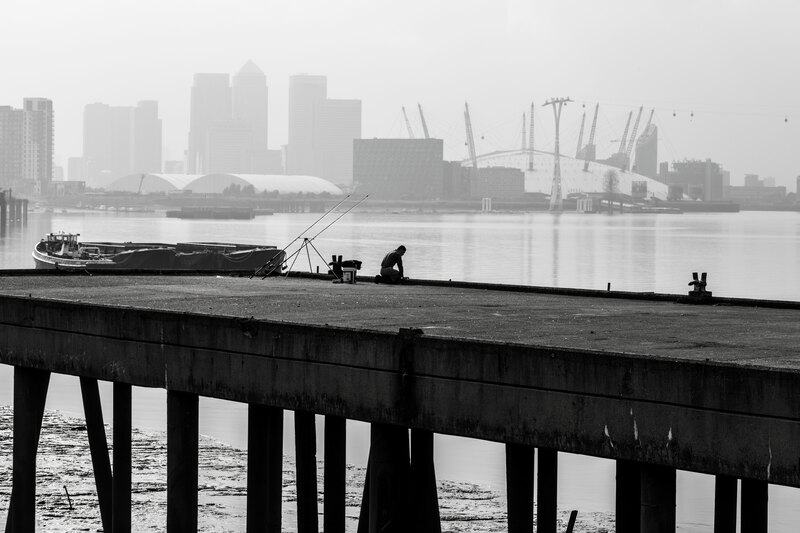 The post is called Intoxicated by London and features some images of London at night and in sunny days… You can read it here. 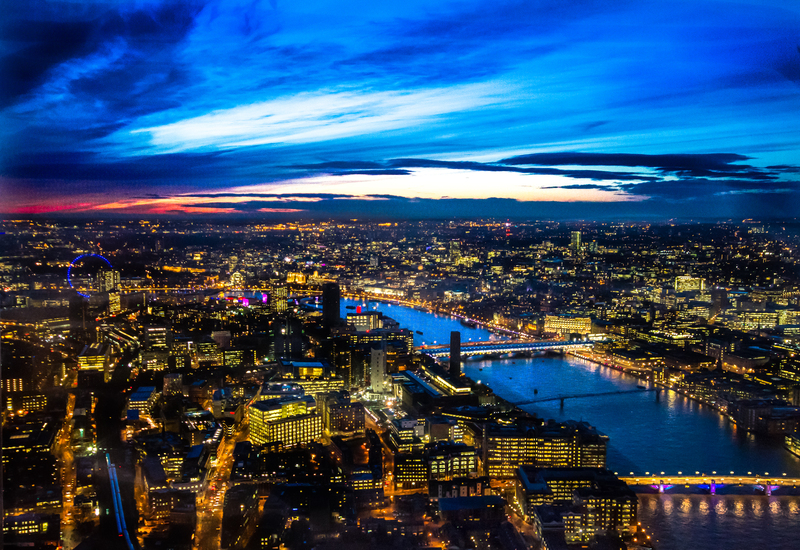 Taken from the top of the Shard – London at night as rarely seen before! Speaking of sunny days, writing the piece got me thinking about this wretched weather we are having and how it is stopping me from going out exploring the city and taking photos. 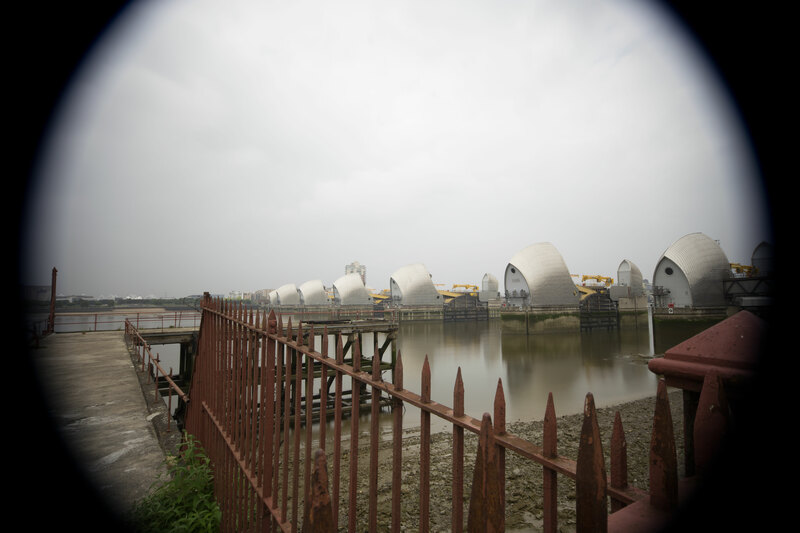 As photographers therefore, we must be creative and work around obstacles such as rain, especially in Britain, for we would be almost perpetually flummoxed otherwise.. So lets stay indoors and have some fun with a macro lens! 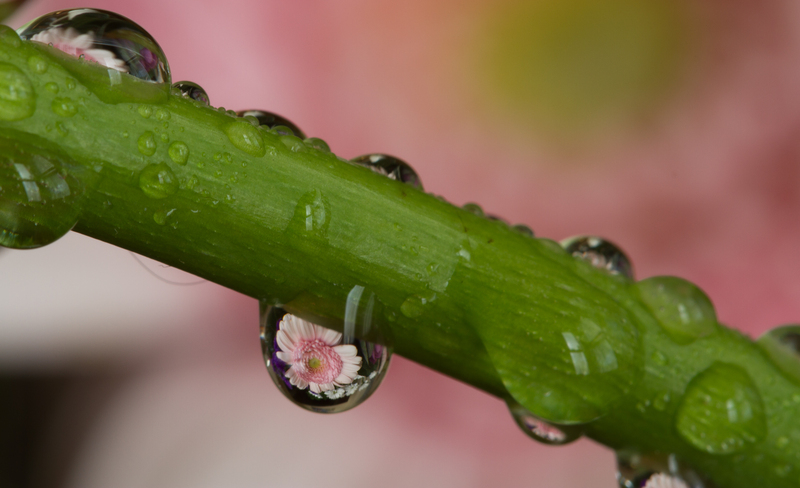 One of the photographic tricks that I have always loved is reflections of flowers and other objects in water droplets. I used to love seeing these clever shots and have always wanted to learn how to do this. Thinking it would be very complicated I never attempted to do it until one wet afternoon when I decided to finally take the plunge and just work it out. What I actually discovered is that with a bit of tweaking here and there, the process is pretty straightforward. So, I begun with placing the vase of flowers on the table and the second vase with the single flower around a foot or so in front of the first vase. 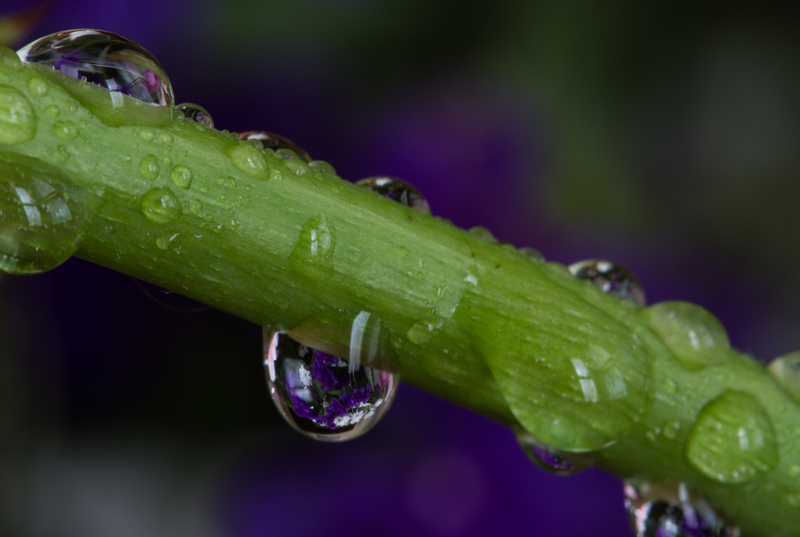 I sprayed the stem of the single flower with water until water droplets formed and stayed on the stem. 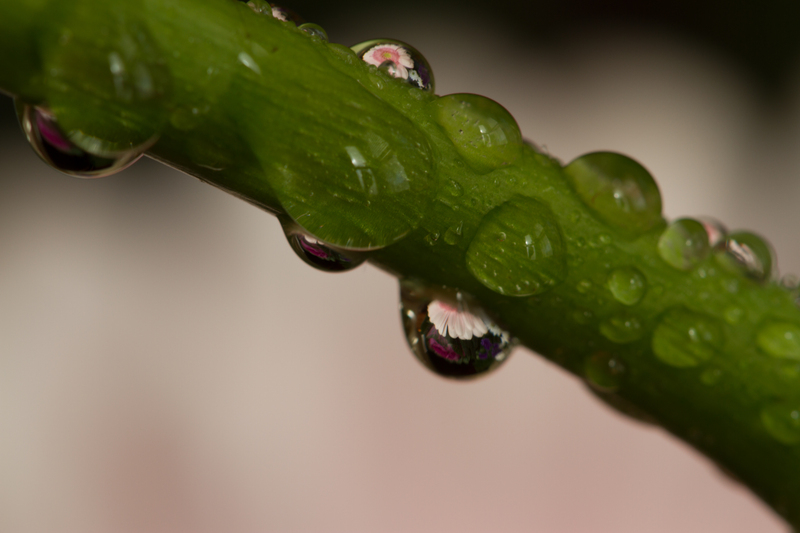 Then, moving the camera in front of the stem I manually focused the lens on the droplet. After that I moved the first vases back and forth until I could see the flowers reflected in the water droplet through the lens. One final tweak on the focus to make sure it was pin sharp and there you have it. So if I were to do again now, it would be simple enough. 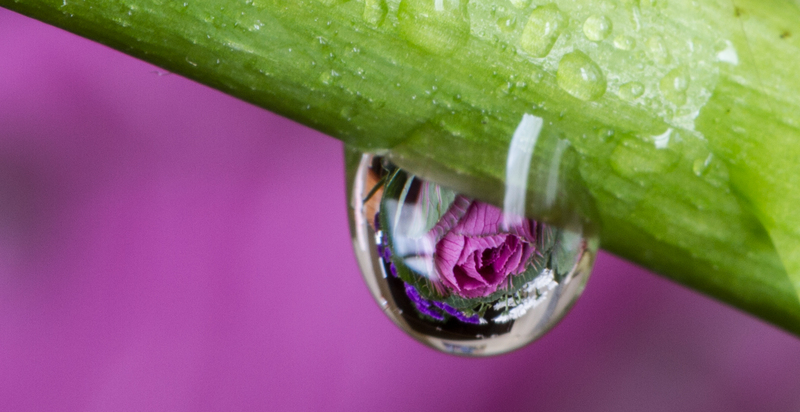 Working this out did take a few hours however as I struggled with how to get the flowers in focus within the water droplet. Once I realised that the droplet itself acts like a lens I understood it was matter of adjusting the distances between the two vases and the camera, like I say – it is simple but requires patience and attention to minute detail. I posted a couple of my results already. Below are ones that didn’t quite work – to highlight how tiny adjustments to the positioning can make a big difference! A pedants’ heaven, no doubt. But either way, a pretty fun way of spending a couple of hours taking photos! I hope to get a chance to do this with the flowers in my garden at some point, but with this weather, that may take some time.. Flowers reflected in water droplets – this one wasn’t quite right – I include in here to show how small tweaks in the positioning make all the difference. 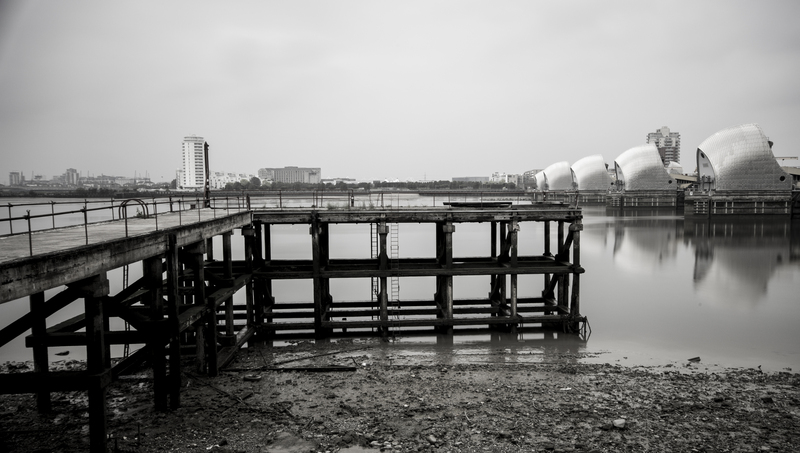 Long Exposures – impressive and….easy! Before I knew anything about photography I was always hugely impressed by photos depicting long exposures, those colourful trails of light, they seemed so complicated and felt to me, incredibly out of my reach. That is until I was shown how, and realised that for the impressive results, light trails through long exposures are probably one of the more straightforward aspects of photography. Preparation and some basic equipment are required and like anything in photography, the light trails only form part of the story – composition is crucial! 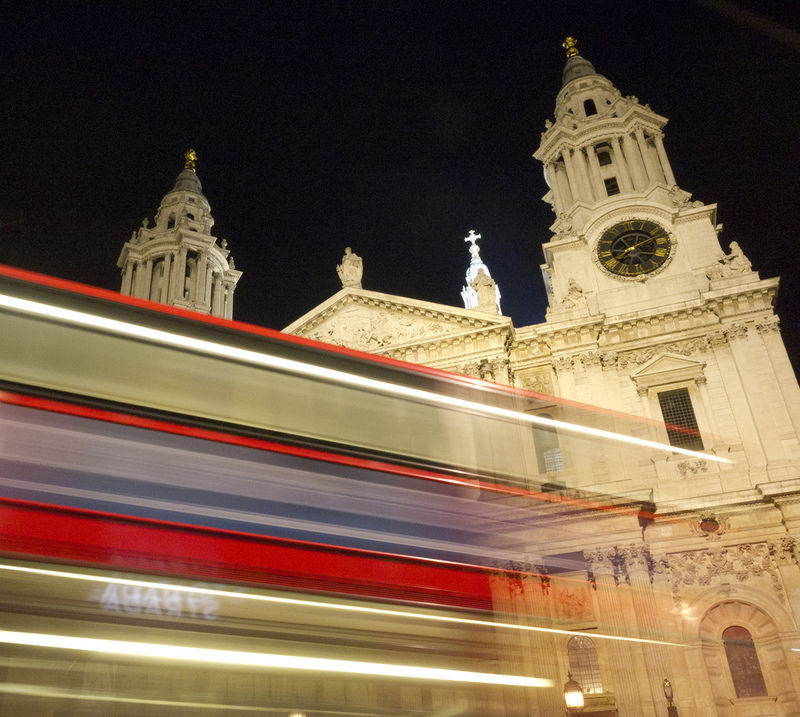 Light trails are achieved by a moving object in the low light of the evening and for extra effect you can target double decker buses instead of cars or vans as you get two sets for your efforts. 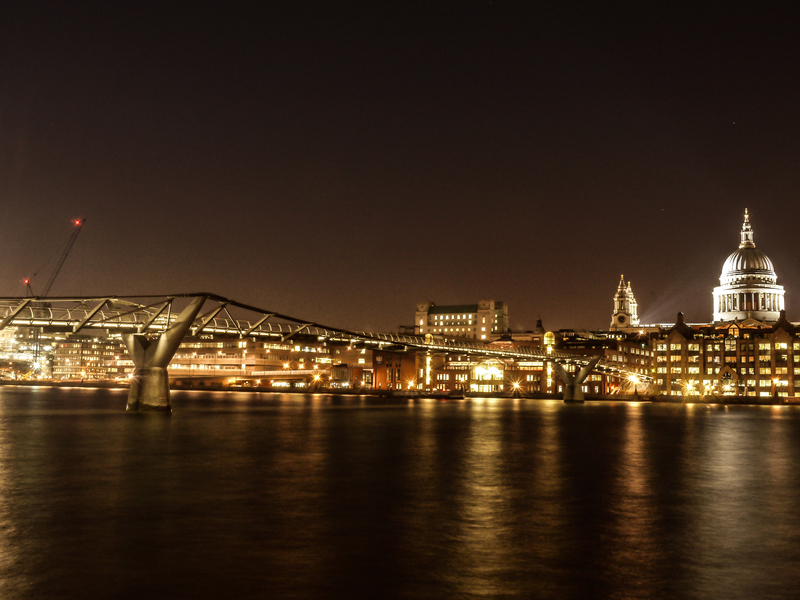 I managed to capture just that after setting my tripod up in the middle of Waterloo Bridge one cold night – I waited a while to get a bus on either side, but eventually managed to get the shot. 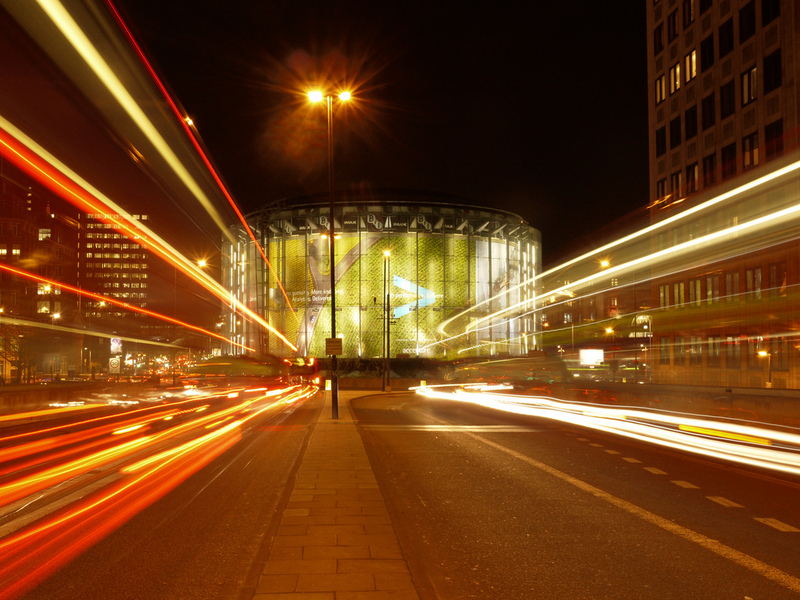 Waterloo Bridge with light trails of double decker buses on each side. So, to do this, you need a dSLR or a point and shoot that lets you switch to aperture priority setting. You also need a tripod or the side of a wall if it allows for the correct and still positioning of your camera. 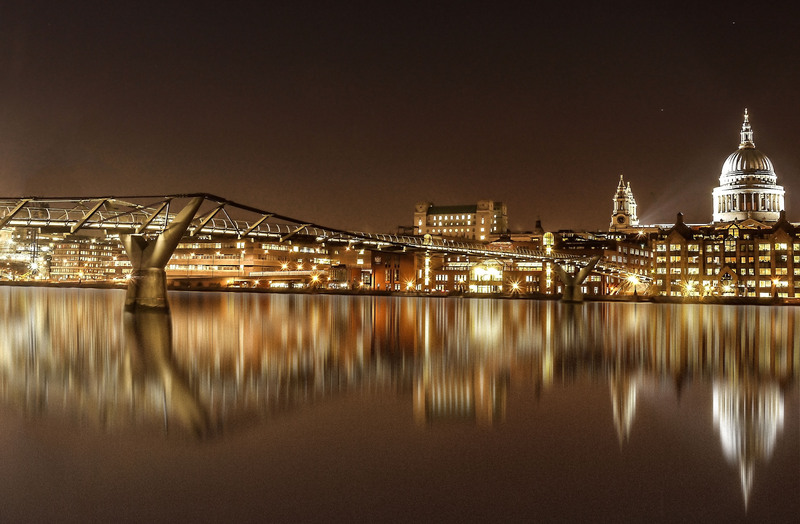 As is over the Millennium Bridge for cool shimmering water effects of the river Thames: (and if you are lucky you may even get light trails from passing boats). So here I am again, at the start. Except, except, it isn’t I suppose. I have not picked up my camera for months, work, life, money, gets in the way and I have missed it. So much. But unlike the start, I begin again with a few advantages. I know how to use my camera. Sure, skills need polishing and refinement and yes, my experience of studio lighting has not been what anyone would call advanced, but yet, I find that the minute I hold my camera, none of that matters. I remember, and more importantly I feel the joy and love of taking photos again. I don’t proclaim to have any particular talent or intuitive feeling towards the creative flow others can engage, only that I have missed how I have felt, and feel when I have the opportunity and time to take photos. 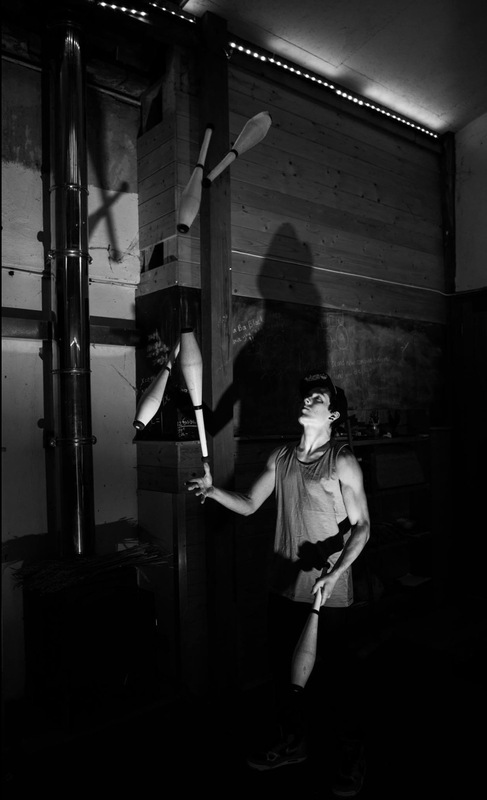 I was very lucky to have been asked to do a shoot of the wonderfully accomplished Matthew Greeney, juggler extraordinaire(!) last Sunday and it was wonderful! It reminded me of a significant part of my life I have neglected of late, and what better way to get back on the horse as it were!